Jim Chapel is an agent with the DIA. As the series begins, he is a Captain with the U.S. Army's Intelligence and Security Command and had sat a desk for several years, not by his own choice. Given his choice, he would be back with his buddies and comrades in the Rangers, handling Special Forces assignments in Afghanistan. Unfortunately for him, a Taliban sniper ended that part of his career, as well as destroying his left arm, with one bullet. A state-of-the-art prostetic that could actually respond to his thoughts replaced his missing limb. It was connected via special wiring to his shoulder and looked quite natural unless examined very closely. It was cold to the touch, though, and was a constant reminder to Chapel of what he had been through. It also reminded him of what he had endured, especially at the hands of a Marine Top Sargeant whose rehabilitation method was to browbeat his "boys" until they realized that cripples sat on the sideline and wept. His boys were never cripples. So for the past few years he had worked with Army Intelligence handling cases of fraud, misappropriation, and any other shenanigans that might cross his desk and he was very good at it. He seldom stayed in any one department for more than a few months before changing to another, giving him a wide range of experiences. He found he was a pretty good detective in addition to be a highly skilled warrior. With his arm situation, he expected to finish his career in the military in that field. Then a strange summons to the Pentagon and a meeting with Admiral Hollingshead of the DIA changed that. The assignment he got then was stranger than anything he could or would have imagined, and it would set him on a totally different career path. Aiding Chapel in his missions is the incomperable Angel, the nickname given by Chapel to the unseen voice of a female working with the DIA. An admitted teenage hacker who had broken into the Pentagon's secure servers just to see if she could, she was given a chance to stay out of jail by Hollingshead if she went to work for him. When Chapel was first pulled into service, she was assigned to assist and her ability to scour the Internet and sneak into otherwise offlimit servers on his behalf has saved him on several occasions. Their relationship is extremely close since she hears and often sees most of what he does. Nevertheless, she is determined to not complicating their interactions by meeting in person. Jim Chapel had been stuck behind a desk for nearly a decade after his horrible war injuries in Afghanistan. 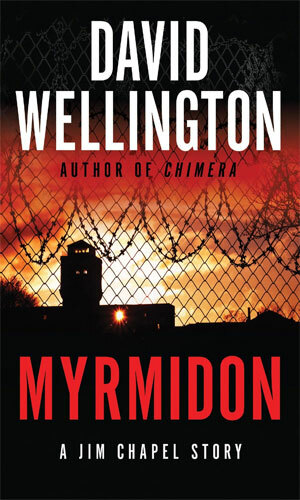 Suddenly he is pulled into a one-man hunt for several escaped prisoners, men the government does not want anyone to know exist, or why. He was on a routine mission checking out a sunken Soviet-era submarine off Cuba when Jim Chapel learns of an aging Cold War supercomputer the Russians had built to handle hundreds of their nuclear missiles. It is apparently still active but starting to have glitches. Domestic terrorists are being supplied with Russians arms inside the US. 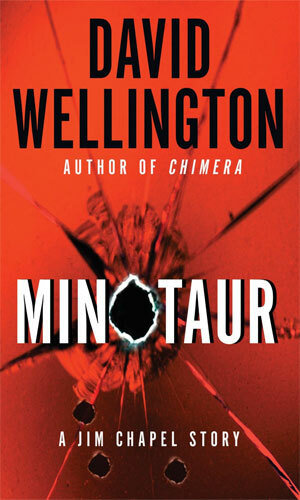 Jim Chapel is assigned the job of finding out who it is and stopping them. Continuing his investigation into illegal arms flowing to domestic terrorists, Jim Chapel must infiltrate a separatist group but that band's leader is no pushover. 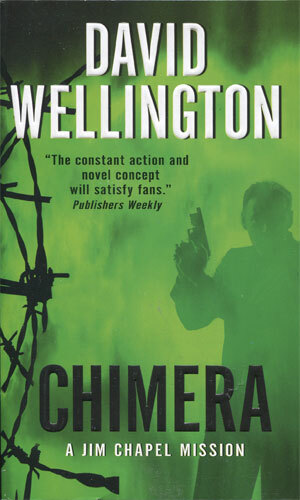 I was hooked from the first couple of pages and stayed hooked on the first book, Chimera, for its entire run. There was work to be done over a long weekend and most still needed doing after I closed the book for that last time. 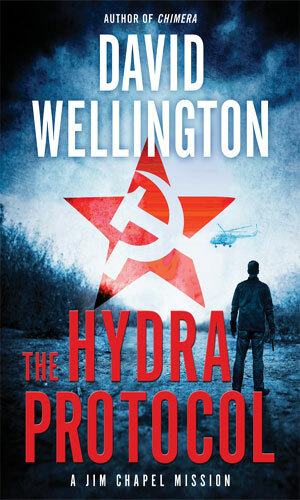 It was very good writing with an interesting set of characters and a terrific bunch of bad guys. After doing the postponed labors, I bought the two novellas and devoured them. Then it was on to the second book. These stories are all action-fests but solidly enough done to make them seem plausible and fantastical enough to not really care. The character of Jim Chapel is one of a skilled fighter and investigator thrown into sometimes impossible situations and handling it well and believably. At no time does he seem over-the-top, even with his fancy prosthetic that saves his rear more than once (and takes a beating in the doing), but he is good enough to stay alive, albeit barely once in a while. And the addition of Angel is fun. It hearkens back to the old television show Probe but with a modern twist and I really like it. It is escapist fiction but it is very well done escapes.